Ploshchad Revolyutsii (Russian: Пло́щадь Револю́ции) is one of the most famous stations of the Moscow Metro, in the Tverskoy District of central Moscow. The station is named after Revolution Square, under which it is located. It is located on the Arbatsko-Pokrovskaya Line. The station opened in 1938, its architect was Alexey Dushkin. 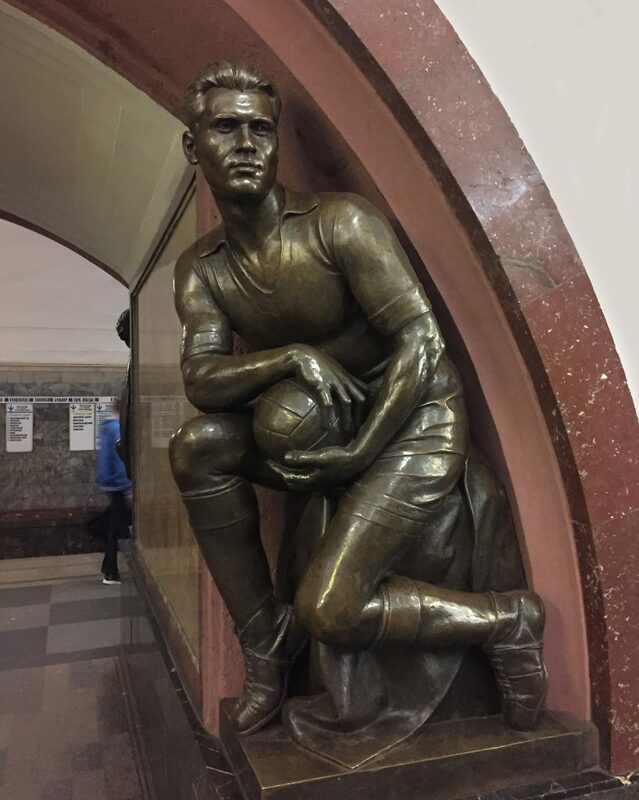 The station features pairs of bronze sculptures by Matvey Manizer depicting the people of the Soviet Union, including soldiers, farmers, athletes, writers, aviators, industrial workers, schoolchildren and a footballer. There are a total of 76 sculptures in the station.